A new exhibit, The Horse in North Dakota, opens Saturday, Aug. 25, at the ND Heritage Center & State Museum, providing a rare opportunity to view remarkable objects and art from the State Historical Society of North Dakota collections. This 5,000-square-foot exhibit, developed by State Historical Society staff, highlights the horse’s evolution and domestication, work and military uses, and Native American cultural significance, as well as the horse’s role in sports, art, and play. The exhibit’s grand opening on Aug. 25 will feature a presentation on the change from draft horses to machinery by Miss Rodeo North Dakota Hope Ebel at 10:30 a.m., a “How to Care for a Horse” presentation by local veterinarian Dr. Russ Voigt at 11:30 a.m., and how-to sessions on drawing horses with artist Jessica Rockeman from 10:30 a.m. to 2 p.m. The exhibit will be open from 10 a.m. to 5 p.m. in the Governors Gallery. Some artifacts in The Horse in North Dakota are being exhibited at the State Museum for the first time. A few of the many artifacts include an early 1900s horse-drawn fire engine used in Petersburg, N.D.; a beaded pipe bag (circa 1883) depicting horse exploits that once belonged to Hunkpapa Lakota leader Sitting Bull; a saddle used by Madame de Morès in Medora; horse toys; and contemporary artwork by artists Paul Noot and S.D. Nelson. 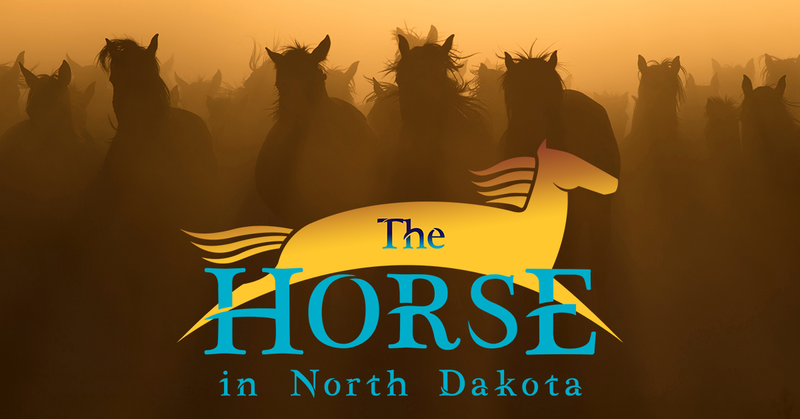 The Horse in North Dakota is free and open to the public through early 2020. Learn more about this exhibit and upcoming programs at statemuseum.nd.gov/horse.